One prong set oval shape cabochon Jadeite, measuring (15.50 x 13.00) 6.66mm, 8% bulge factor, approximate total weight 13.59ct. good plain green with light tone, white clouds, semi translucent, good proportion, medium demand in size, good polish and good finish Transmitting light somewhat diffusely, translucent. Naturally occurring internal & external characteristics are present. Graded in the setting. 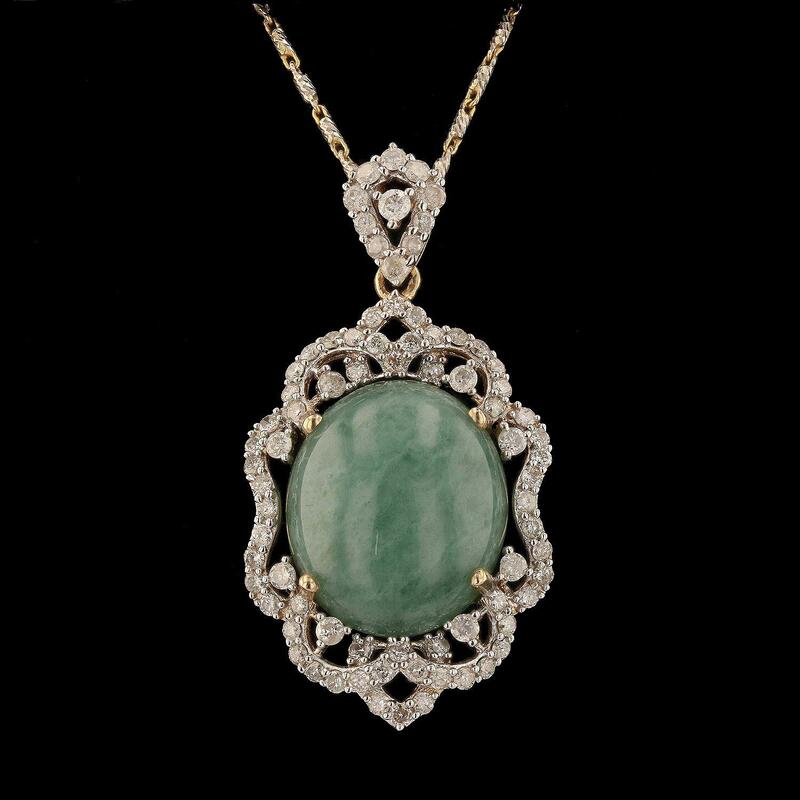 Jadeite is commonly impregnated to improve the color and texture. Evidence that may confirm this is typically lacking. Seventy-seven prong set round brilliant cut diamonds, measuring 2.00 - 1.40 x 1.02mm (depth est.) approximate total weight of 77 Stones = 1.14ct. Graded in the setting. Total Weight of Diamonds 1.14ct. Total Weight of Jade 13.59ct.